When people ask me for one a bit of advice. I always tell them to seek a mentor! For me, I would want a mentor that I could discuss future goals with but also share first hand accounts in the field I am interested in and help steer me down the right path. With that said, it isn’t easy and you must also need to know what you want to do before a mentor can come into your life. Fortunately for me, I have been so lucky to have Brian Neal as my mentor during the entire Rotary Ambassadorial Scholarship (RAS) process. Brian was a RAS nearly ten years ago in Edinburgh, Scotland. He had a wonderful host counselor when he went and they developed a close relationship even after he returned to the States. Listening to Brian recount stories of his time studying in Scotland and his strong relationship with his host counselor were both inspiring and uplifting. 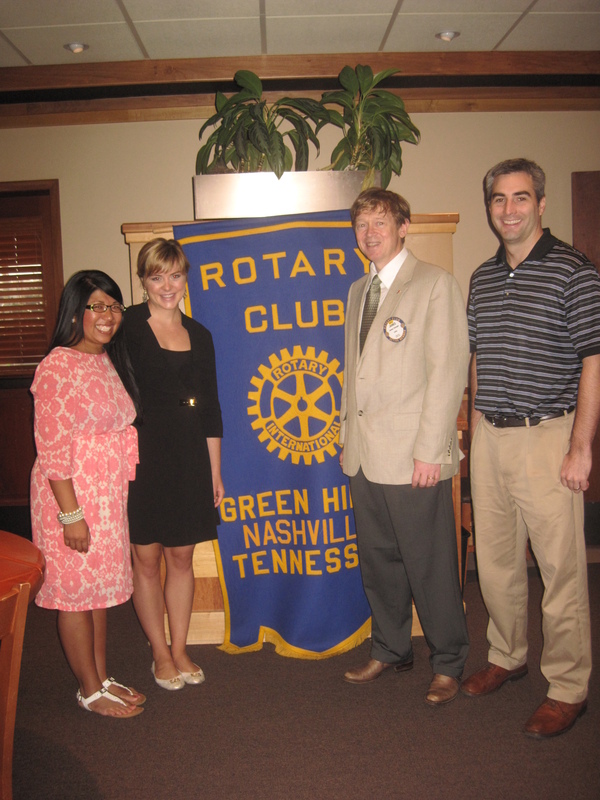 He also shared that his host counselor had a direct impact on him later becoming a Rotarian. As humans, we have the capability to inspire, encourage, and uplift others. Sometimes we see it directly but often times, we never know what impact we have left on an individual’s life. Brian did all of the above for me. He inspired me through his career and life accomplishments. He is a successful attorney in Nashville and has also hiked the Appalachian Trail. He made sure I met all the Rotary deadlines and encouraged me when the application process took a little curve. He made me feel very welcome by inviting me to speak to the club as well as attend community volunteer programs with many Nashville Rotarians. I really could not have asked for a better mentor. When I shared the news that I had been chosen, he was overjoyed! He even told one of my best friends before I could. 😉 Thank you Brian for helping me through this entire process and being a great mentor. Thank you for taking the time to e-mail, call, and always being available. Please know how much I appreciate you. I promise to make you proud in Australia! What a great point Terry! I once heard a summon from Rick Warren and he said the same thing, “Hitch your wagon on a star!”. They will take you places and push you to new levels. Also, Steven Covey’s advice to start with the end in sight. At the end of it all, what do you want to have accomplished? Such a good point to remember. Thanks for sharing Terry! You’re a star in my eyes sister! I love you so much! Thank you so much for sharing words of wisdom from Rick Warren and Steven Covey. I can’t wait to tell you about Hillsong.